The above link is the U.S. National Debt Clock. It’s easy to understand and totally unnerving. I got to learn the difference between deficit and debt and exactly what that means to me in dollars and cents. Now when news organizations interchange these two words I can tell in which direction they are trying to skew things and I can better gauge how what they are saying affects me. The webpage can also give you a debt clock on your state. It tells you how much every taxpayer in our state would have to pay in order to get this great state of ours out of debt. It is quite a lot less than we would have to pay to get the entire country out of debt but it is still quite a bit more than I can personally afford. The clock is constantly updated so you can watch the numbers roll over and over. It does give you some good news. It shows how much our GDP is and the rate at which that is growing. It is very mildly reassuring. Until you read the news. This is all a little difficult for me to comprehend, but basically I think between tax cuts and spending increases we have kind of screwed ourselves. Now I am not blaming one party or another, we all know who is for tax cuts and who is for spending increases. 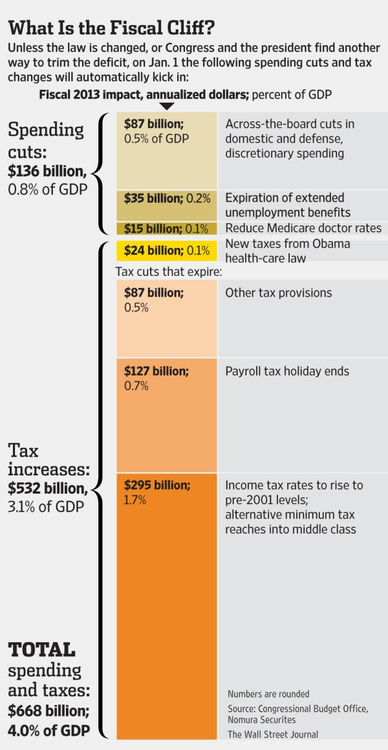 I just read that Obama is calling for a 1.6 trillion dollar increase in tax revenue. I’m just a bit curious how that happens. A budget has not been passed in the four years Obama was president. It is up to Congress to pass a budget using the presidents budget as a guideline. Obama has submitted a budget every year, only to have it filibustered or simply laughed at by both parties. When he submitted his 2012 budget it was vetoed 97-0 by the Senate. When he submitted his 2013 budget in February it was vetoed 414-0 by the House. Again, his budget is just supposed to be a guideline or a wishlist, but congress has not come up with anything they can agree on in four years. Well, I personally am waiting with bated breath. Good luck with in your next four years Mr. Obama.